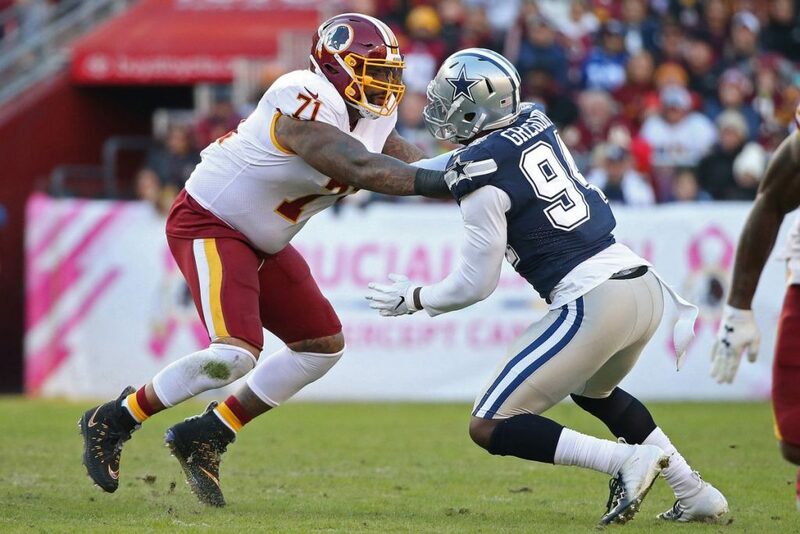 Redskins left tackle Trent Williams left AT&T Stadium in an ambulance after the Redskins‘ 31-23 loss to the Cowboys Thursday night, Adam Zielonka of the Washington Times reports. Williams briefly left the game early in the third quarter but soon returned. He also missed the previous three games after needing surgery on his thumb. Williams walked into the ambulance on his own and reportedly told a teammate he was OK.
A Redskins spokesperson confirmed that Williams left via ambulance but did not provide further information.